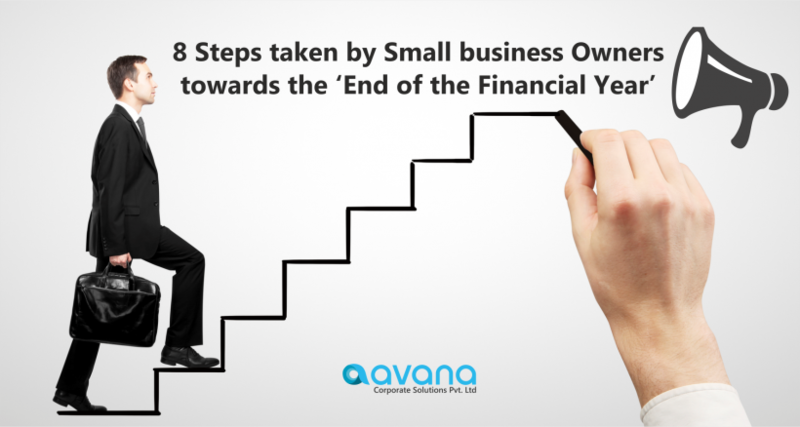 It’s very significant to get a hold of where your small business stands at the end of the year. Therefore, it’s very important to prepare a checklist- so that you don’t forget the tasks -that needs to be completed on time. In order to efficiently complete your year-end accounting checklist, you should stay on top of your business finances throughout the year. This can be done by maintaining updated accounting records every month. One of the most important tasks to be accomplished in your year end accounting checklist is- To make sure that your bookkeeping records are up to date. In order to ensure precision, it’s essential to resolve each bank and/or credit card statement to what is mentioned in the accounting records. This is a technique of being aware of transactions that might have been counted wrongly or not counted at all. It’s essential to seek advice from an Accountant/Bookkeeper which would be helpful in reviewing financial statements and also to frame a timeline for payment of tax. It is very important to keep a complete count of supply you have on –hand when the products are/were sold. Counting inventory does not have to be restricted to the products you sell, but it can also include the assets and supplies you have too. Beginning of the year is the best time to hire a new team of people. Recruiting a new team of people can add-on to the growth of your business. Therefore, it’s very important to ‘draft’ a suitable Job description and to conduct interviews .This would be helpful in hiring the right candidates for the company. “Hiring “also means obtaining certain documents. You will need to file for an employer identification number (EIN), file form I-9, withhold taxes, and report information about your new hires to the state. Additionally, you’ll need to obtain workers’ compensation insurance and establish compensation plans within your business. As the year comes to an end, it becomes your responsibility to interact with the employees on the basis of their performance over a period of time. They can contribute to the company by exchanging their ideas through feed backs that can add-on to the growth of the company. Do your Facebook cover images need a refresh? Is there an old Pinterest account you’d like to clear off? It’s always better to clear the old data, if not required. As the year begins, create a new Facebook cover page and upgrade wherever necessary. It’s important to plan and execute the strategy for the upcoming year. Success of any company depends on the ‘Team work’. Therefore, updating your team is very essential about the changes that can take place. As a business owner, it is very simple- to be occupied in the usual operations of your business. At the same time, it is important to remember your vision and reflect on the ways you have aligned your business. ‘End of the Year ‘is a great time to reflect on the targets that were achieved in the previous years. A Business can be made profitable in future -by analyzing the positive and the negative aspects of the decisions that were taken in the previous years. Review of a Business Plan is an ideal opportunity to plan your strategies that are required for the growth of the company .Therefore, it is essential to evaluate your plans and revise them wherever necessary. As the year closes, many small business owners are completely involved in Q4 prep. Hence, there are chances of forgetting to include something important on their to-do list, which can lead to the downfall of the business in the upcoming years. Therefore, it’s very important to create an ‘Accounting checklist’ in order to complete all the tasks before the beginning of the next year.